Horses does a fashion shoot. Nobody dies. 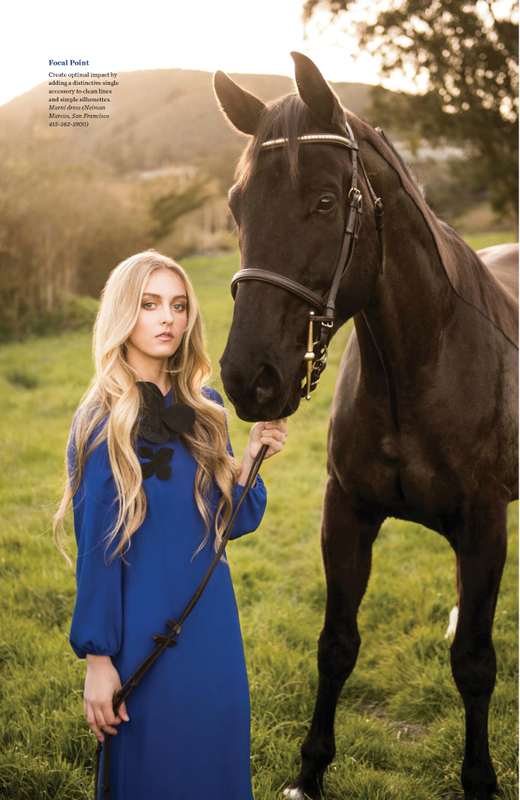 Why, one wonders, are fashion shoots with horses always so redonkulous? From the improbable footwear to the silk chiffon frocks and lack of approved headgear, they all seem daft. Well, they're daft because "why not"! Mr Xan needed a horse for a spring fashion shoot so I scraped the mud off the baby brontosaurus last minute and we applied a model to him and dragged him into a field with stylist, photog and hair/makeup crew. He really didn't mind the conveyor belt of treats going in his mouth, and the model only fell off once! Not that he noticed... No Valentino skirts were harmed in the making of these shots, although the stylist had a cardiac event at all the mud. Re: Horses does a fashion shoot. Nobody dies. 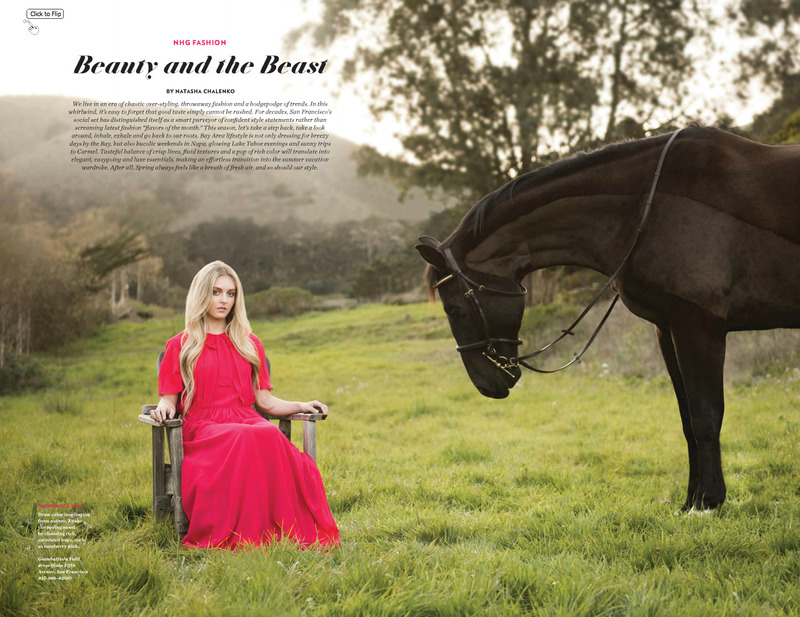 Great photos, and your horse looks very unconcerned (and beautiful!). At least the model's wearing closed toe shoes? Lol. Your boy looks like a good sport. Cookies and grass go a long ways. How much horse hair had to be photoshopped off the clothes? Gorgeous! Now BB can add supermodel to his resume. Between these and your beach photos, I think we can say that Baby B looks like a super model! Gorgeous horse and gorgeous photos. Sorry, I didn't notice the human model! What, no pics of the model plonked into the mud? texsuze wrote: What, no pics of the model plonked into the mud? I wish I had a pic of her falling! It's quite far, falling downhill off a 17.1h horse.... But she was actually VERY game and I just legged her right back up. What a handsome and good boy he is! But I’m wondering if he was doing some wine tasting. That last pic looks Like he’s feeling pretty mellow. The girl is only 15? Wow. One of my guys was once part of a fashion shoot, but he was just background. Not co-star! demi wrote: What a handsome and good boy he is! But I’m wondering if he was doing some wine tasting. That last pic looks Like he’s feeling pretty mellow. Beautiful horse, !pdel and photos! What a good boy, that's a lot to deal with. Beautiful pics, thanks for sharing them!